The Sixties Radical-Azriel Humility is The Key! Creation by definition is concealment of G-dly energy. Dwelling of divine presence is the opposite of that. The opposite of concealment is the revelation of the divine presence. Where does one find the divine presence? Let’s put it this way. Ego keeps G-d away. Self keeps G-d away. I keep G-d away. 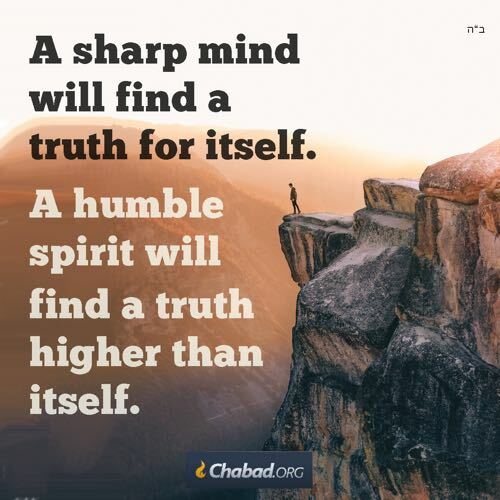 The greatest receptacle from HaShem is humility. The I blocks G-d. It keeps G-d away thus G-d is concealed. Where does G-d reveal HIMSELF? Anywhere G-d is permitted to enter. Previous PostThe Sixties Radical-Azriel How Do We Become a Host For G-d?Next PostThe Sixties Radical-Azriel The Problem is I!